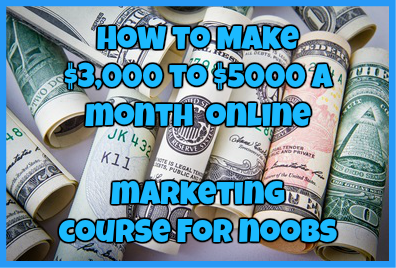 In today’s chaotic world there are an indefinite amount of ways that you can make real money online free. The trick is finding the way that works best for you. 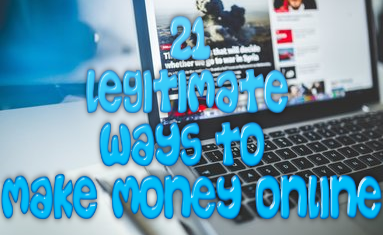 Whether that is writing articles for people, creating blog content, becoming an affiliate marketer, starting your own online business or working on PTC sites, whatever you want to do you can find a way to make money out of it. However, today’s blog post is all about teaching you how you can make money with eBay without having to spend a dime if you want. I personally know a lot of people who make more money than on do running their own online store on eBay and who can’t imagine doing anything else for a living. In order to make money on eBay, there are two different ways that you can do it: You can either flip products that you have already purchased on the site in order to make a higher profit, or you could become an affiliate for the website itself. There are a variety of ways that you can flip products successfully on eBay in order to make a profit and the majority of people that I know that make money on eBay primarily use this method to earn their monthly income. You can easily purchase any kind of product that is already listed on the website then turn around and list it under your own eBay store for a slightly higher price than you paid for it. Can purchase a variety of things from local garage sales and list them on eBay for a slightly higher price than you paid for it. You can purchase multiple items from Craigslist and list them under your eBay store in order to make a profit. While this is one of the most effective ways to make money on eBay it does require an investment on your part but in my opinion it is honestly worth it. One of my friends brings in $15,000 a month easily doing this and his business continues to grow stronger every single day. In order to build a successful online business it takes a lot of hard work and money on your part, but the best part about this is that you control how much money you want to invest in your business in the long run. Another great way to make money online with eBay is to become one of their affiliate marketers. In order to do this correctly you are going to need your own website where you can market their products. Now in my opinion this is one of the hardest routes in which you can go as building a website may seem relatively easy, driving traffic to the website is much harder than it seems. On your website you can include an eBay store widget, text banners or picture banners to promote the website. The way that you make money by becoming one of their affiliates is whenever someone purchases a product using the link you added to your site or if they sign up to become a member of eBay using a link from your site, you make commission off of that. Keep in mind that while you can make as much money as you want by being an eBay affiliate, this method takes a lot of time and patience in order to o it successfully. However, if you know how to drive traffic to your website successfully and can guarantee that your visitors convert to paying customers, then your earning ability is virtually limitless. Remember, there are a variety of different ways that you can make real money online free using eBay as an outlet and you can literally earn as much money as you want whether that is $500 to $10,000. You just need to learn how to get started and what mistakes you should avoid making in the future. Do you run your own successful online eBay store? Are you a successful eBay affiliate marketer? If so I would love to hear from you! Simply drop me a detailed comment below and tell us all about your online success with eBay. ← Instant PayDay Network Review: Can You Make Money Instantly?